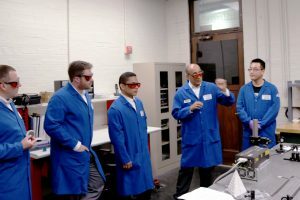 Below is a selection of photos showing CMEDE in action! 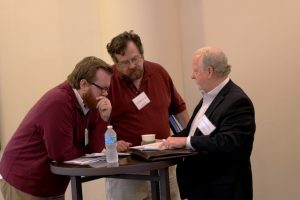 We hold quite a few events and visits throughout the year and hope to see you at one soon. 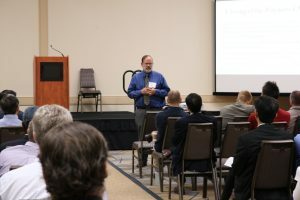 The MEDE Fall Meeting is an annual, closed event that brings the entire MEDE CRA together for program overviews, collaborative activities and discussion. 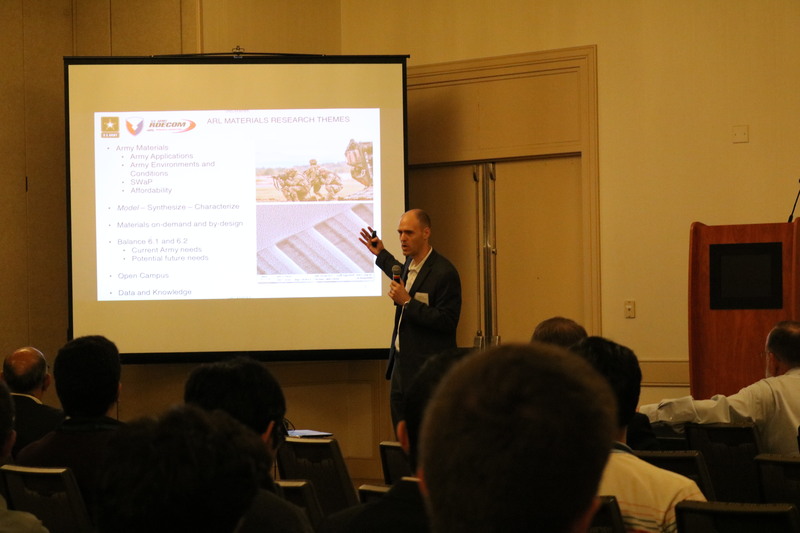 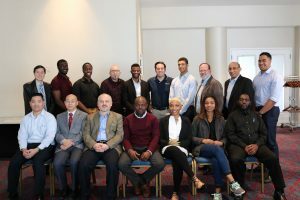 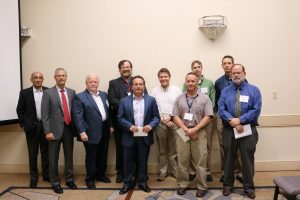 In 2018, the event was attended by 130 individuals including special guests from the United Kingdom’s Defence Science and Technology Laboratory; US Army Engineer and Development Center and members of the MEDE Science Advisory Board. 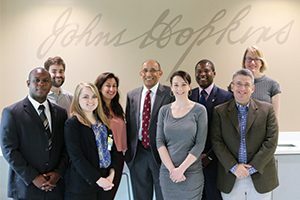 Professor K.T. 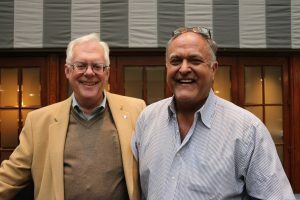 Ramesh (JHU) and Dr. John Beatty (ARL) led the meeting, which focused on technical collaboration across the MEDE CRA and program planning for the upcoming year. 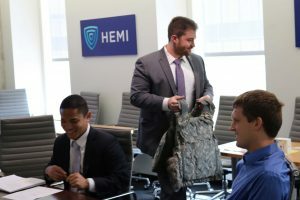 On Monday, July 30,2018, Maryland Congressional Defense Legislative Staffers representing the offices of Senator Cardin, Senator Van Hollen, Congressman Ruppersberger, Congressman Sarbanes, and Congressman Hoyer visited HEMI to learn more about our CMEDE-related activities and to view our laboratories. 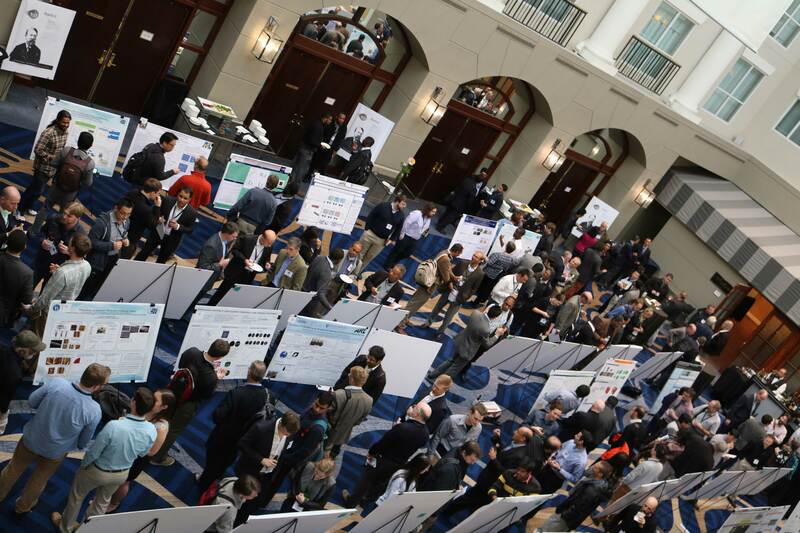 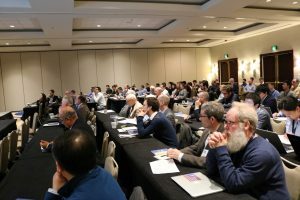 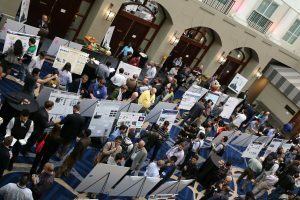 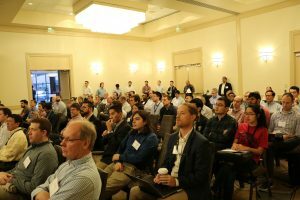 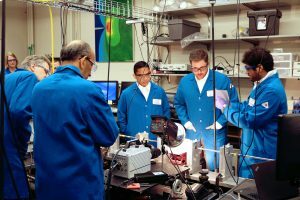 On April 4-6, 2018, researchers met in Annapolis for the Mach Conference; an event that showcases the state of the art of multiscale research in materials, with an emphasis on advancing the fundamental science and engineering of materials and structures in extreme environments. 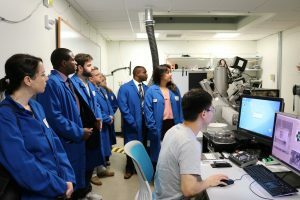 On April 3, 2018, Dr. Kimberly Sablon, director of Basic Research, Office of the Assistant Secretary of the Army (Acquisition, Logistics and Technology) made a visit to the Hopkins Extreme Materials Institute at Johns Hopkins University. 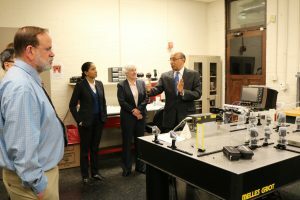 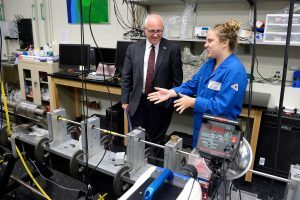 She was accompanied by Ms. Cindy Bedell, director of the U.S. Army Research Laboratory’s (ARL) Computational and Information Sciences Directorate. 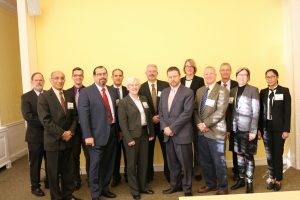 On January 26, 2018, the Research Management Board (RMB) convened at Johns Hopkins University to review the Enterprise for Multiscale Research of Materials. 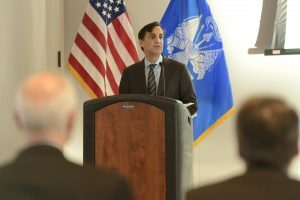 The meeting was hosted by the Army Research Laboratory and the Office of the Assistant Secretary of the Army for Acquisition, Logistics and Technology. 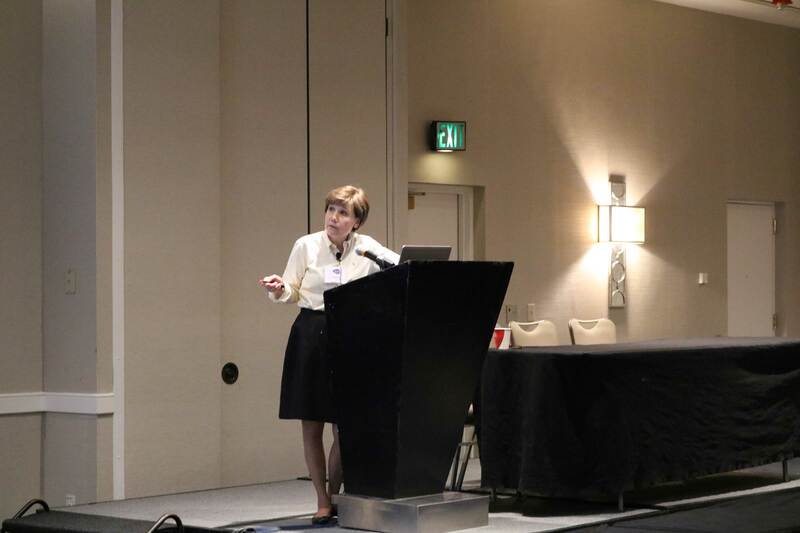 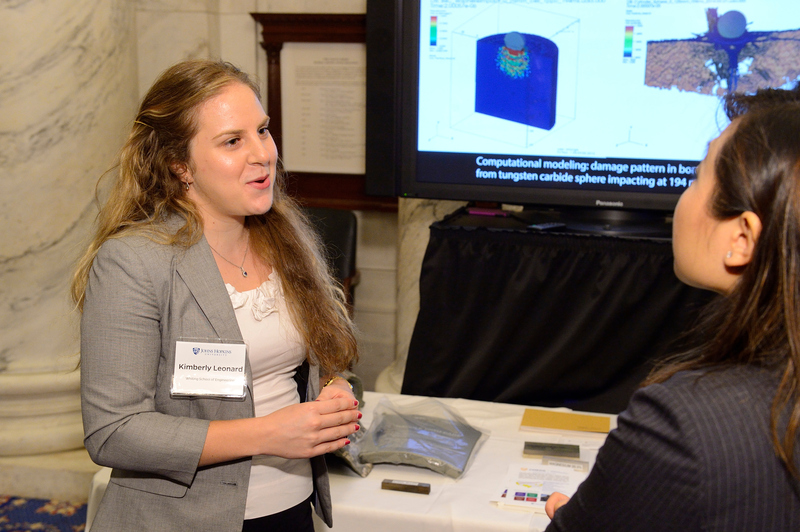 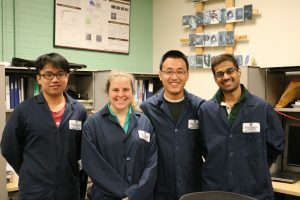 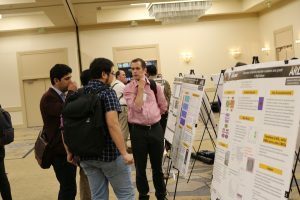 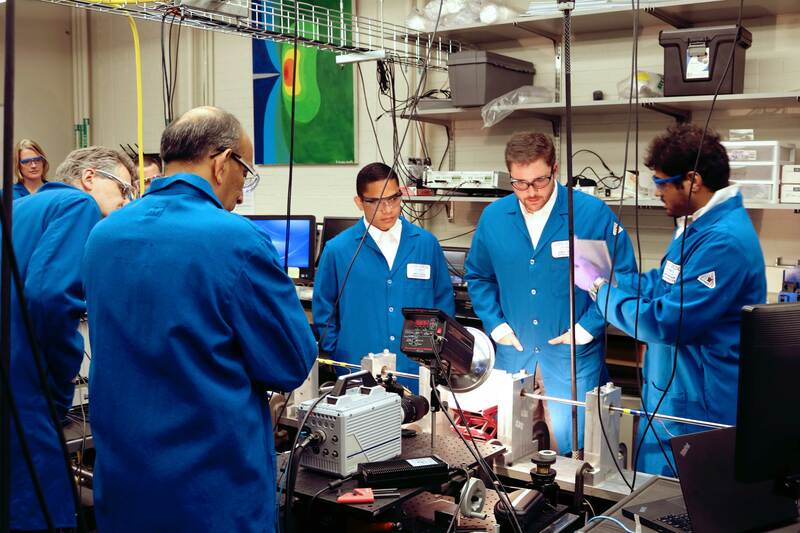 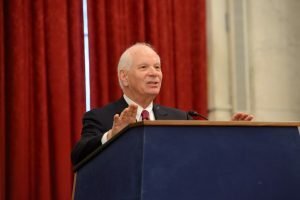 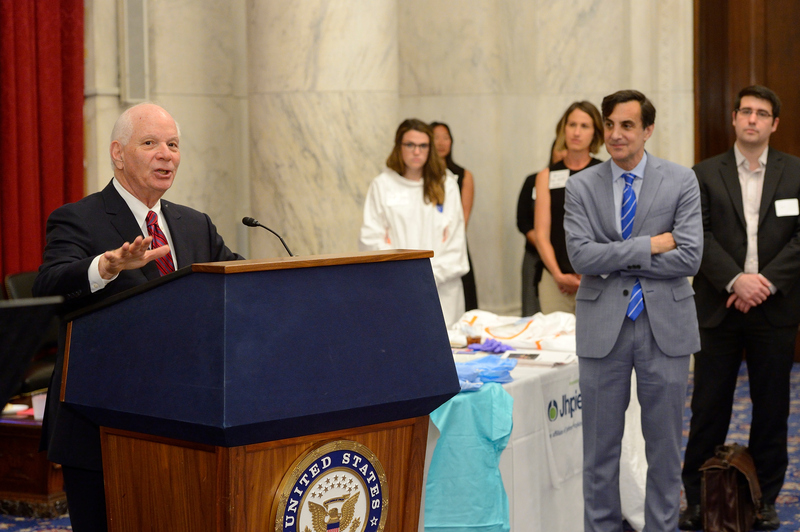 Hopkins on the Hill is an annual event that showcases the range and value of federally-funded research through presentations of the diverse research happening at Hopkins, including the work being done at CMEDE. 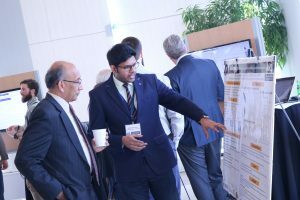 Representatives from CMEDE attended the event on June 13, 2017. 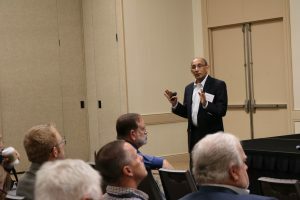 The MEDE Fall Meeting is an annual, closed event that brings the entire MEDE CRA together for program overviews, collaborative activities and discussion. 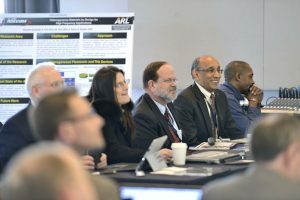 In 2017, the event was attended by 136 individuals including special guests from the United Kingdom’s Defence Science and Technology Laboratory; Army Research Office; Natick Soldier Research, Development and Engineering Center; US Army Engineer and Development Center and members of the MEDE science advisory board. 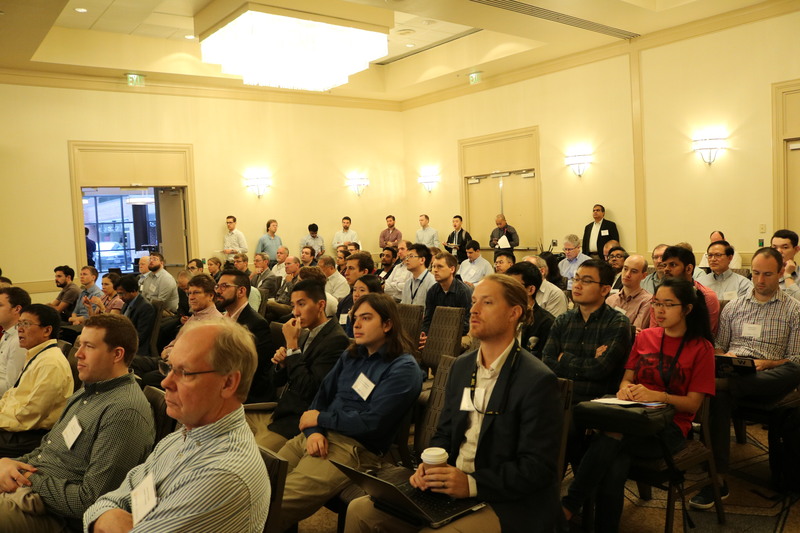 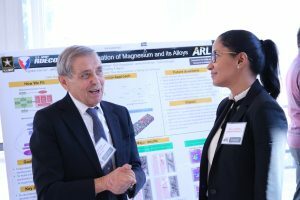 The Mach Conference is an annual, open event that showcases the state of the art multiscale research in materials, with an emphasis on advancing the fundamental science and engineering of materials and structures in extreme environments. 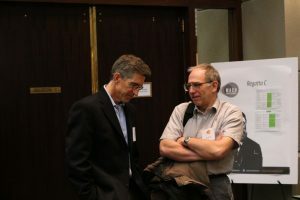 MEDE CRA members are significant participants in this event, which shares research discoveries to the broader community. 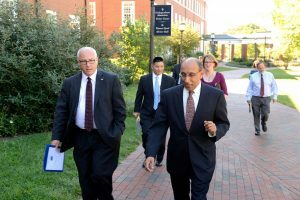 On September 12, 2016, the Honorable Stephen P. Welby, Assistant Secretary of Defense for Research and Engineering, visited Johns Hopkins University to meet with University and CMEDE leadership in addition to touring CMEDE research activities. 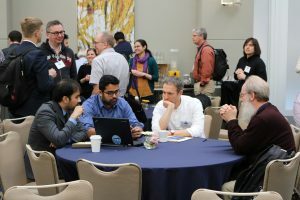 The CMEDE Fall Meeting is an annual, closed event that brings the entire MEDE CRA together for two days of collaborative activities and discussion. 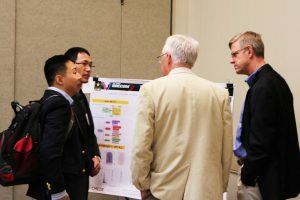 In 2016, the event was attended by 131 individuals including special guests from the United Kingdom’s Defence Science and Technology Laboratory, Army Research Office, U.S. Army Corps of Engineers, and the Office of Naval Research. 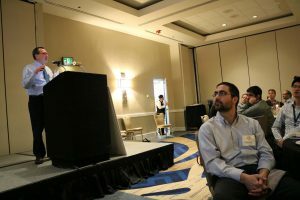 Professor K.T. 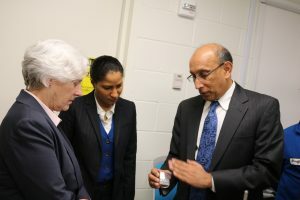 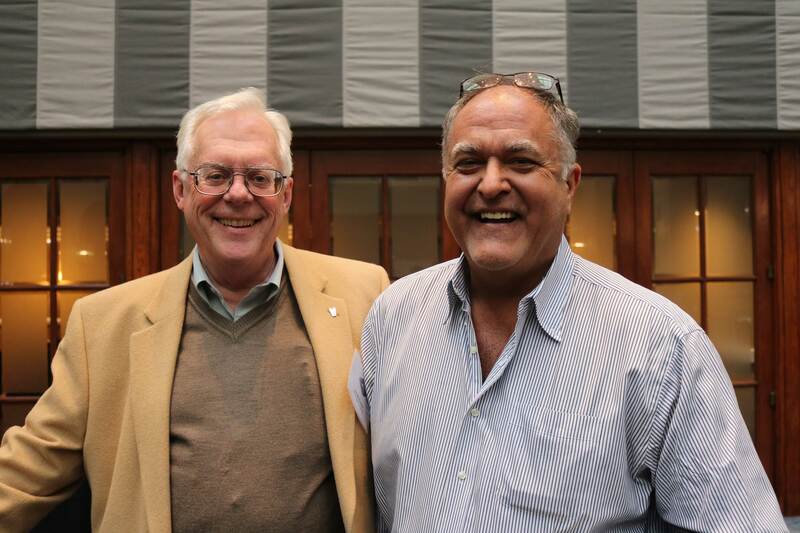 Ramesh (Johns Hopkins University) and Dr. John Beatty (ARL) led the meeting, which focused on technical collaboration across the MEDE CRA and program planning for the upcoming year. 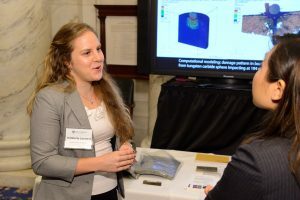 On April 12, 2016, legislative staffers from the Office of U.S. Representative C.A. 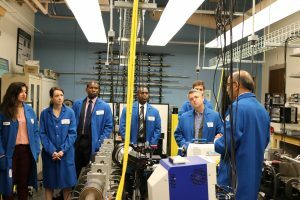 Ruppersberger (Maryland, Second District) visited CMEDE facilities at Johns Hopkins University. 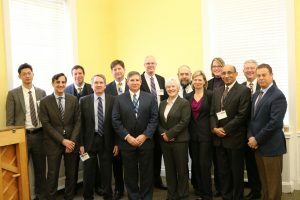 On January 6, 2016, the Research Management Board (RMB) convened at Johns Hopkins University to review the Enterprise for Multiscale Research of Materials. 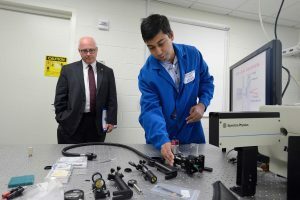 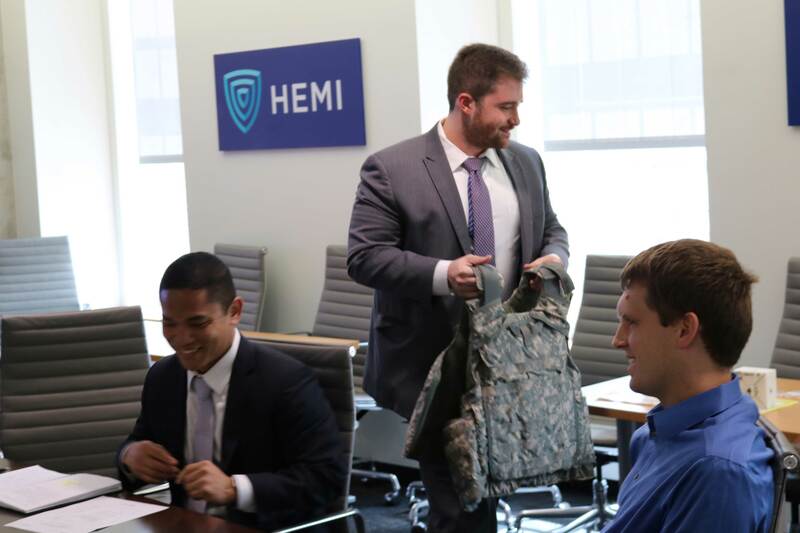 Hosted by the Army Research Laboratory and the Office of the Assistant Secretary of the Army for Acquisition, Logistics and Technology, this review led to the renewal of the MEDE program for a second five-year term.